Westerdale went on site last week with demolition work complete and foundations being poured within a week. The frame and structure should be complete by late August with wildflower green roof being installed shortly after. Phase 1 included structural reworking of the 18th century cottage, internal insulation throughout and a new wood chip biomass boiler to lower bills and energy of the cottage. 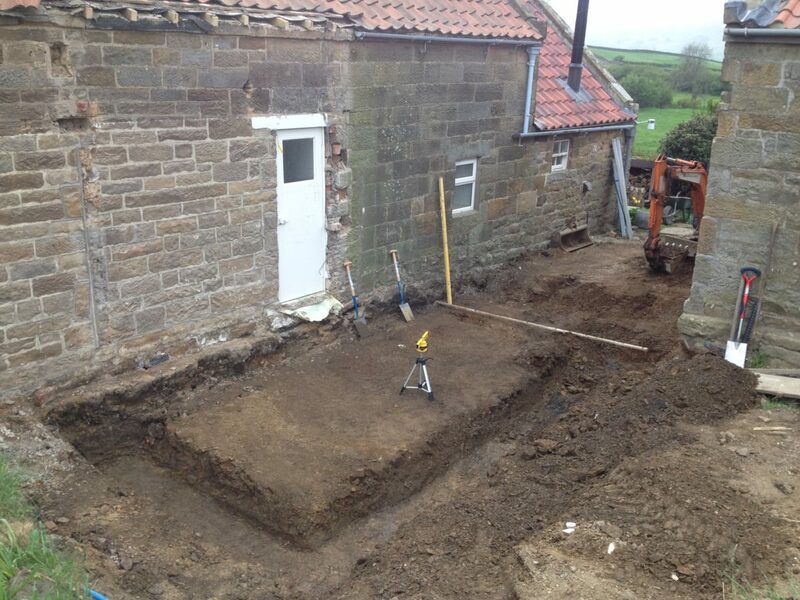 Phase includes two new bathrooms and a link between the existing house and barn. Phase 3 including the refurbishment of the barn will take place in 2017.